The city of Hoi An in the Quang Nam province of Vietnam is considered a living museum. The Old Town of Hoi An is popular for having preserved its ancient homes and other centuries-old structures such as the Quan Cong Temple, Japanese Covered Bridge and Hoi An Assembly Homes. It also has four pristine beaches, An Bang beach, Cua Dai Beach, My Khe 1 Beach (more popularly known as China Beach), and My Khe 2 Beach. Popular tourist destinations outside the city are the My Son Sanctuary, Marble Mountains and Cham Islands. 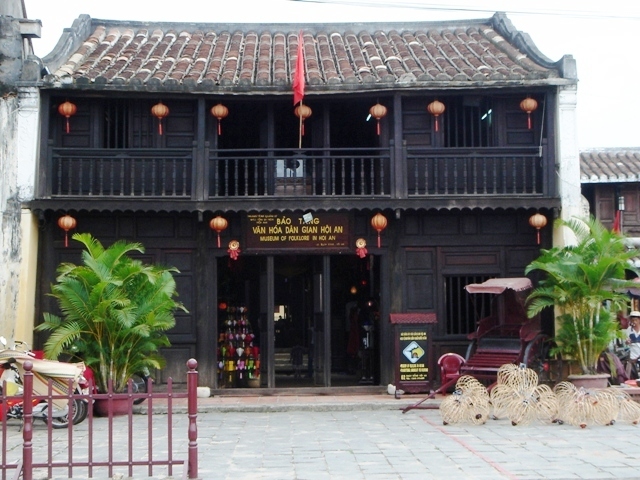 Hoi An has four well furnished museums, and one of them is the Museum of Folk Culture, also known as Hoi An Folklore Museum.